Eucalyptus was widely used in World War 1 to control infections and influenza. 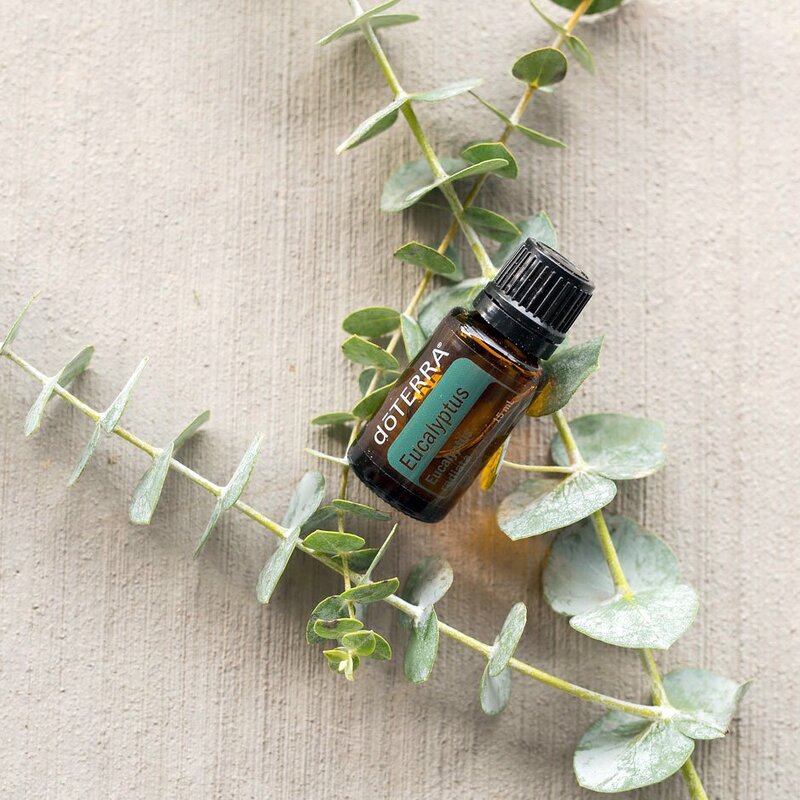 Found in many of the doTERRA blends like Protective Blend, Skin Clearing Blend, Respiratory Blend and their Repellent Blend, this plant is steam distilled from the leaves and the essential oil provides properties that assist and support on many levels. It is found to be antiviral, antibacterial, expectorant, analgesic, insecticidal, hypotensive, disinfectant, and a catalyst. Ear aches – dilute and apply topically to outer ear and bone behind the ear or chest. Congestion, cough, bronchitis and pneumonia – Dilute and apply topically to chest or use in a diffuser. Asthma and Sinusitis – Put in palms of hands and inhale aromatically or applied alluded to the chest and feet. Fever – Applied topically with peppermint down the spine to help lower fevers. Shingles, malaria, cold and flu – Diffuse aromatically or apply topically to bottoms of feet or along the spine. Muscle fatigue and pain – Dilute and gently massage topically over area to ease overused muscles. Cleaning disinfectant – Add 10-15 drops to a spray bottle for a quick drying disinfectant cleaner. Dust mites – Apply 10-15 drops to a spray bottle to use as a dust mite deterrent. Emotional balance – use aromatically and topically to get from congested to stimulated.